They’re still there today, now with two young children, for those reasons and more. “We’ve since stayed in Brookline because we’ve got great neighbors – some who have lived here their whole lives, and some newbies like us. Jocelyne and Joe Chahine might agree but they represent another segment of the Brookline population. Some say they have been on a 41-year-long honeymoon in Pittsburgh. The Lebanese natives honeymooned in Pittsburgh after their wedding in 1974 when a civil war broke out in their home country. The couple sought asylum in Brookline, working with relatives at Pitaland and in the 80s they bought the store, moving it to its current location on Brookline Boulevard. “We were always in Brookline,” says Donna Tweardy, their daughter and now office manager of Pitaland. Similar to many stores in Brookline, Pitaland is family-run, with siblings working alongside their parents. It’s that kind of community: family-oriented, tight-knit and traditional and as authentic as they come. But now there’s an infusion of new businesses and energy and especially, young people like the Stearman family as well as singles moving in. 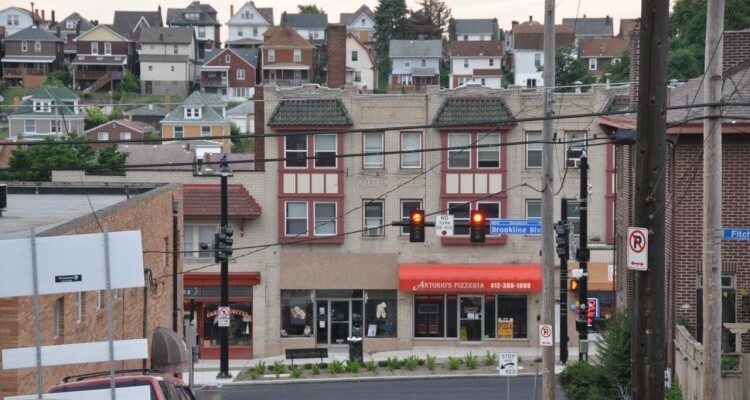 The affordable houses in this walkable neighborhood in the South Hills—with its rumbly bricked streets and an enviable location close to downtown Pittsburgh—have attracted the young and young families, giving Brookline one of—if not the—largest population of under 18 in the city, according to some in the neighborhood. It’s also a community that is becoming increasingly diverse. “Diversity is part of the richness of the Brookline community. 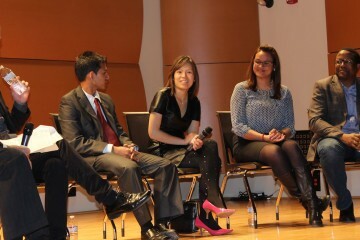 There’s an openness to diversity, and the contribution that comes from diversity. You can see it as you go down Brookline Boulevard,” says Sister Janice Vanderneck of Casa San Jose, a community resource center for Latino immigrants. For years, Sister Janice was searching for a location for her outreach program until St. Mark’s Lutheran Church on Brookline Boulevard offered its basement. 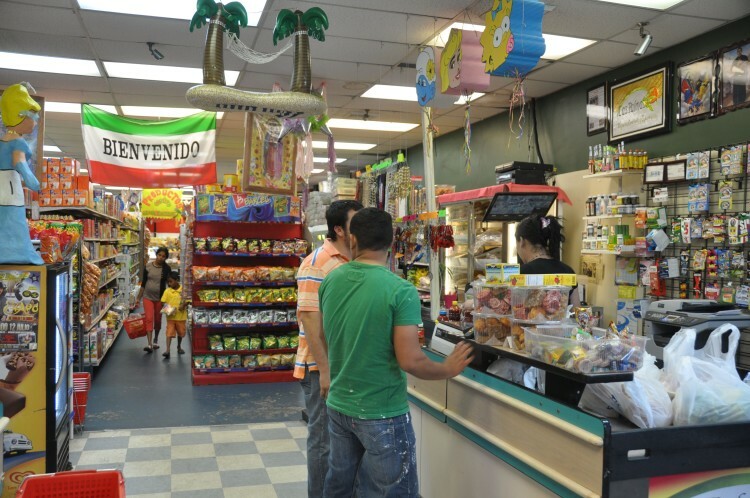 Since then, Casa San Jose has had success partnering with local businesses such as Las Palmas, the hot destination Mexican grocery on Brookline Blvd. 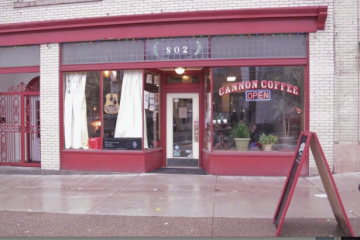 with the ever popular taco stand, and Cannon Coffee, a charming and welcoming spot which doubles as a community hub. “We found a very welcoming place in Brookline,” says Sister Janice who is quick to offer that they welcome volunteers and they are always seeking bilingual Pittsburghers to help with weekly outreach programs. 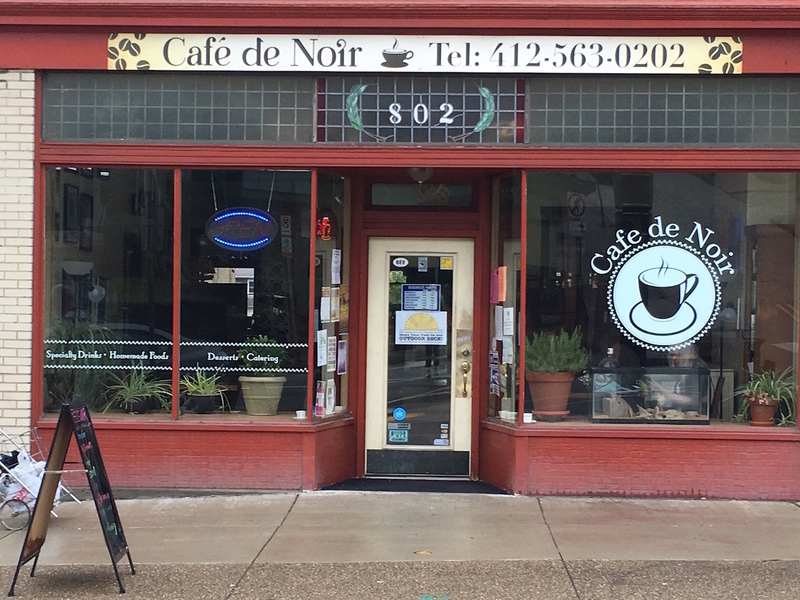 Café de Noir took over for Cannon Coffee on Brookline Blvd. Photo by TH Carlisle. “In the last five years, I’ve seen such a change, so much more of a nicer, community-based place. A lot more people are taking pride in the community. A lot more businesses are opening up and staying,” says Tweardy. The major change has been the recent and extensive $5.3 million renovation of the long and broad Brookline Boulevard, giving the main street much-needed repairs, including extended sidewalks to accommodate more pedestrian traffic, modern lighting and landscaping, benches, bike racks and more. It’s a main street many communities would die for. While it has greatly enhanced the street, businesses suffered some losses while the boulevard was under construction. During the renovations, business owners and community members alike worked together to keep the local businesses up and running, says Nathan Mallory, owner of the former Cannon Coffee and once president of the Brookline Chamber of Commerce. Stores applied together for grants and instituted successful “shop local” campaigns during the 18-month period when store access was limited or nonexistent. “People came out of the woodwork for support during the construction,” he says. Since the Boulevard reopened last summer, not only has there been an increase in pedestrian traffic but there has also been an increase in new businesses opening, says Mallory. To get a feel for the place, Mallory suggests walking the Boulevard. The best strategy? Park at the top of Brookline Boulevard and walk down to the parklet that houses the iconic cannon so you can closely observe the street life and cluster of shops, houses and amenities. Note the welcome from business owners if you stop by. In addition, “It has two private parks and its own community center,” says Tweardy. And Brookline regularly hosts holiday parades and festivals, uniting community members of all ages. At Cafê de Noir (formerly Cannon Coffee) on the Boulevard, it’s not just about a dose of caffeine. The shop is an excellent location to meet locals and become more involved in the community. 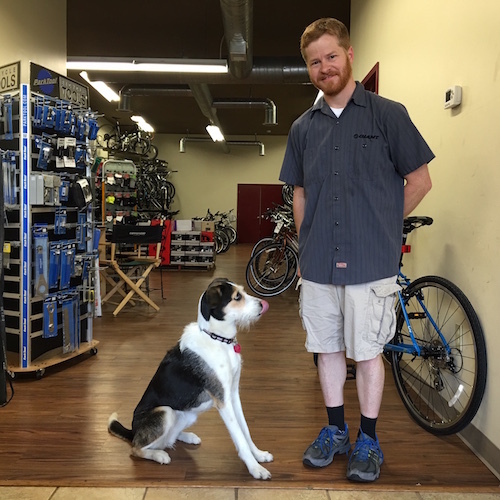 Also new to the street is West Liberty Bikes, a full service, independent bike shop known for their exceptional and friendly service (say hi to their dog, Bella!) and their full line of bikes for sale. The renovated Pitaland has a new café in the store, where shoppers can taste some of the pita freshly baked on site, along with a vast array of imported spices and traditional specialties such as hummus and baba ghannuj. 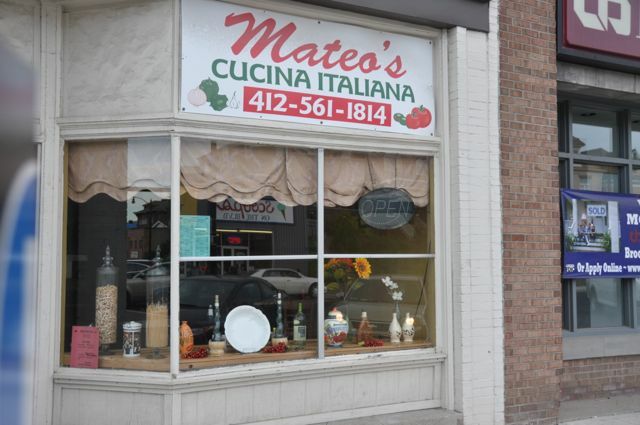 Like Las Palmas, it’s a destination store that attracts customers from all over Pittsburgh. Day trippers looking for a more structured visit can sign up for the ‘Burgh’s Bits & Bites Tour. 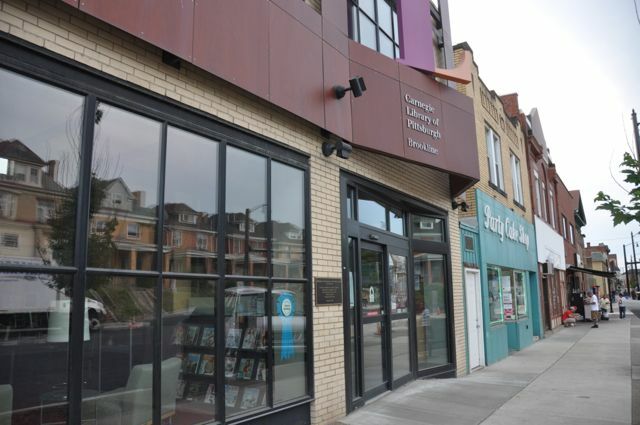 The aptly named “Brookline: Pittsburgh’s Undiscovered Gem” was recently added to the company’s portfolio of tours, and it gives visitors a comprehensive taste of the neighborhood. 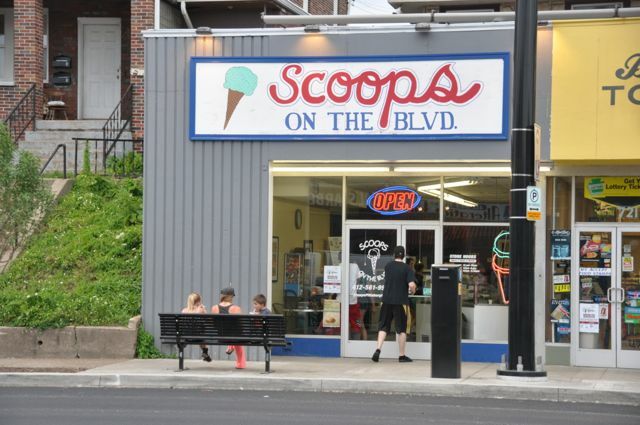 See more about Brookline in this video by the Sprout Fund published earlier this week by NEXTpittsburgh. NEXTpittsburgh staff contributed to this article.